After saving the Grand Duchy of Elffinberg from the jaws of a dragon in The Last Duchess, Pattern has been recruited by The Silver Service Agency to help solve supernatural mysteries. Pattern is dispatched undercover to the Island of Cull as a housemaid to the mysterious Lady Hawk, to investigate the disappearance of a young man called Henry.She quickly discovers that the Isle of Cull has some strange and magical properties, including an unseasonably tropical climate and a party of house guests who seem entirely in thrall to Lady Hawk and her beautiful daughter. 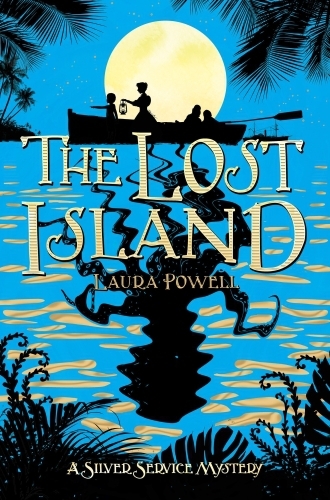 Pattern and her new friend Nate are the only ones immune to the spell Lady Hawk has cast, but as the male house guests begin to disappear one by one, they find themselves in a race against time to solve the mystery of the island's magic.Join Pattern on another dangerous and spellbinding adventure in The Lost Island, the second Silver-Service Mystery from Laura Powell, illustrated by Sarah Gibb.